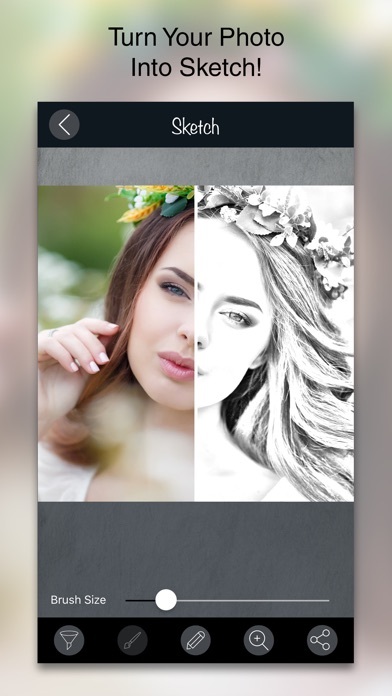 Create Pencil Sketch of your photo in no time & make yourself an artist . You can also apply filters to your photo. 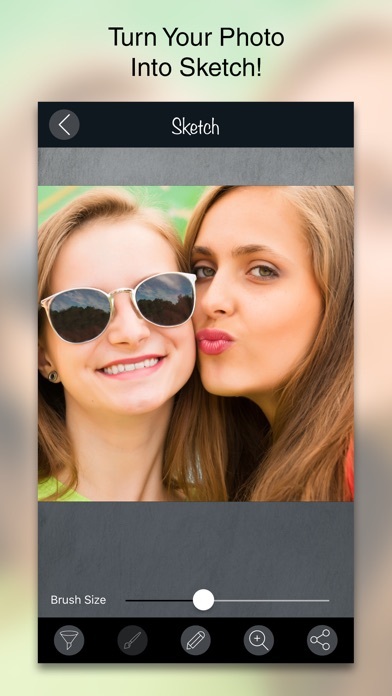 Features: -Crop,rotate,flip your photo. 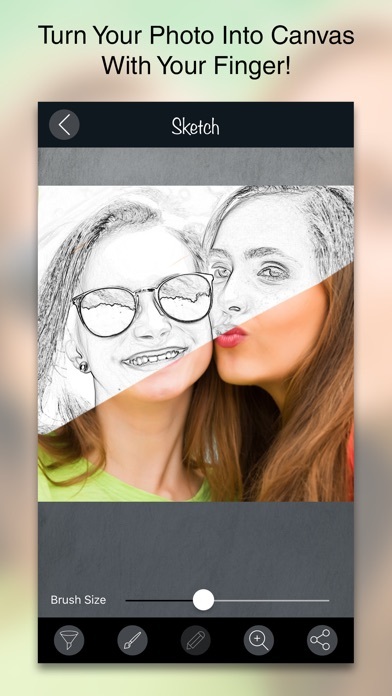 -Erase & re-erase your photo. -Magnify your photo. 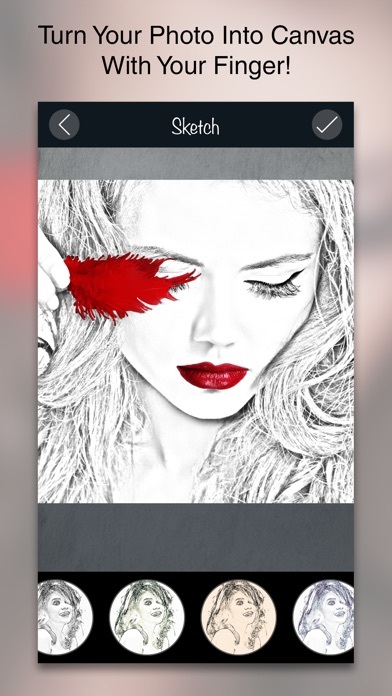 -Cartoon effect, oil painting effect, old photo sketch,Black & White sketch can also be applied to your photo. -Save & share.